I’m not much of a cook, but fortunately, my mom is! Today, she was trying to cook bratswurst and prep the eggplant she was going to bake, and she had yet to start on the salmon that she needed to cook. Since I wasn’t doing anything, I asked if she needed any help. Knowing of my minimal to almost non-existant skills in the kitchen, she gave the most basic task. I was to bread the eggplant. Making this is the most simple thing on Earth, and it tastes delicious! I’m not a big eggplant person, but when prepared this way, I’m convinced anyone woud like it! My mom had a recipe for this before, but she lost it, so now she sort of wings it. Because she “wings it” none these measurements are particularly accurate. 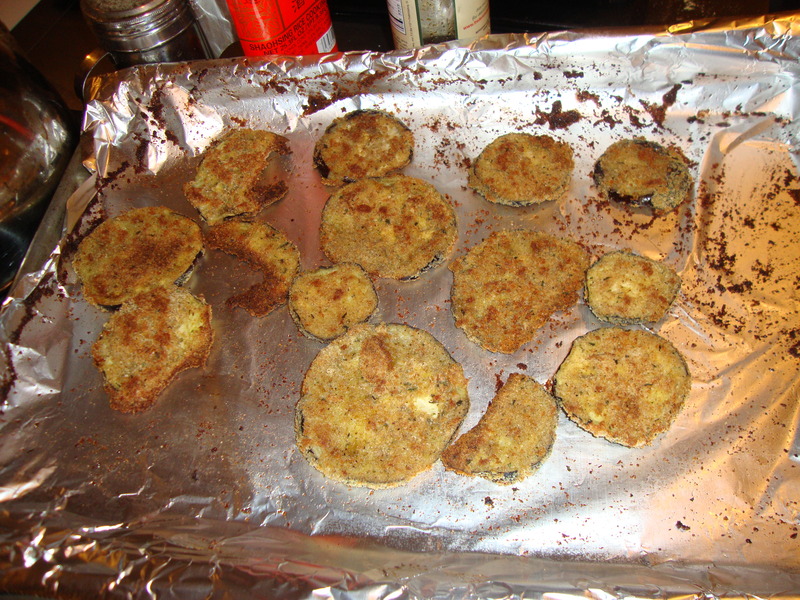 Obviously, depending on the size of your eggplant(s), you would need more or less eggs/olive oil/bread crumbs. 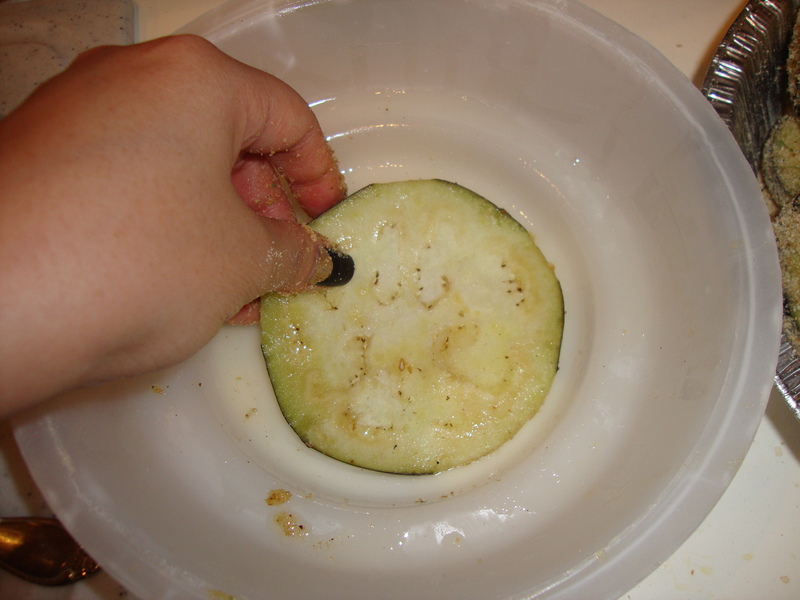 Wash and slice your eggplant. In my opinion, the thinner it’s cut, the better. When it’s thinner, it gets crispier. Drizzle some olive oil in a bowl. 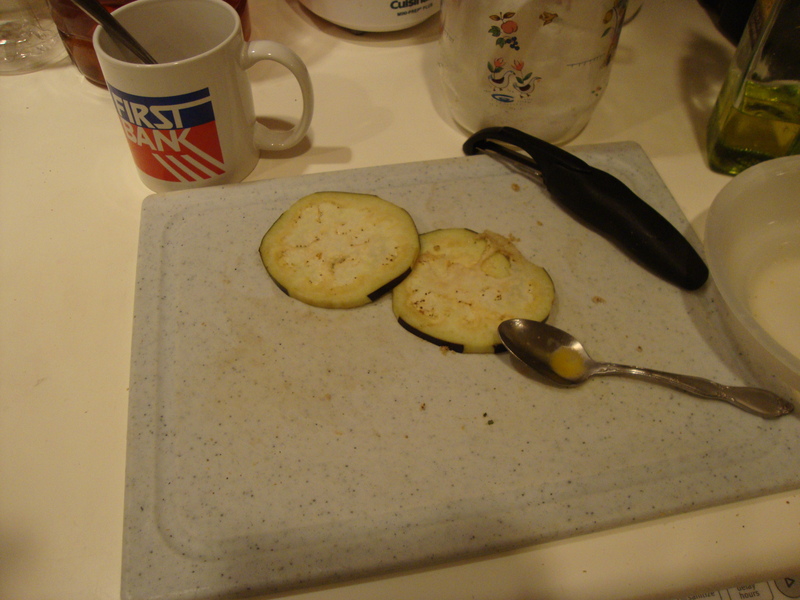 Lightly coat the eggplant slices in the olive oil, on both sides. Crack your eggs in a whole and whisk them until the yoke is broken up. 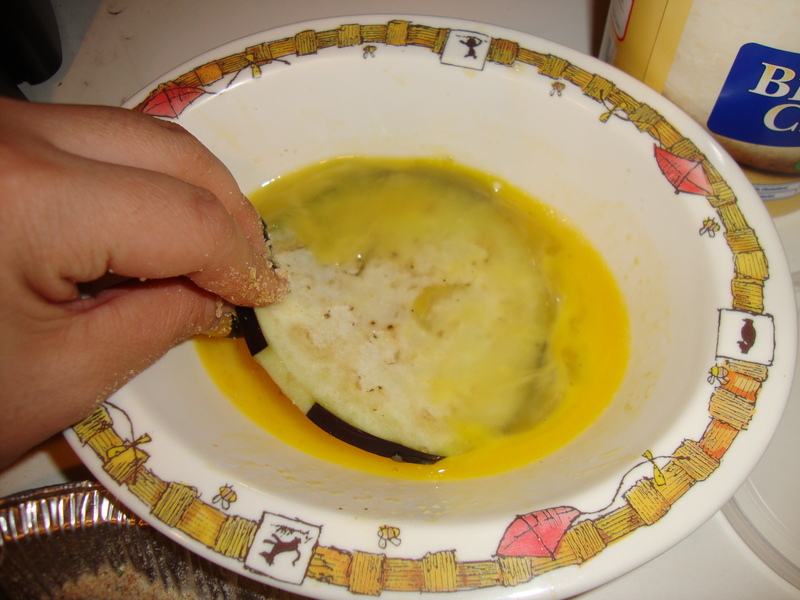 Dip the slices of eggplant in the egg, on both sides. Pour some bread crumbs in to a pan. 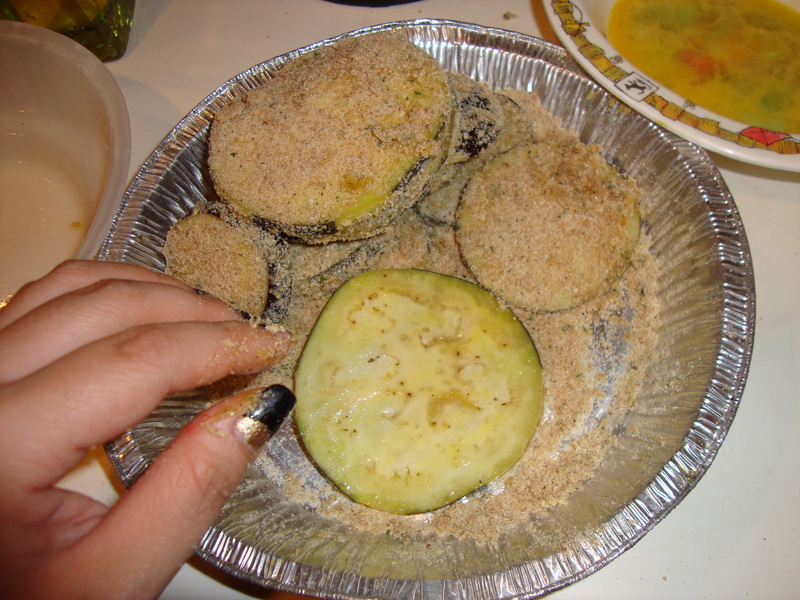 Coat both sides of the eggplant with the bread crumbs. *optional: Depending on what she wants that day, sometimes my mom adds a little lemon juice on each slice. 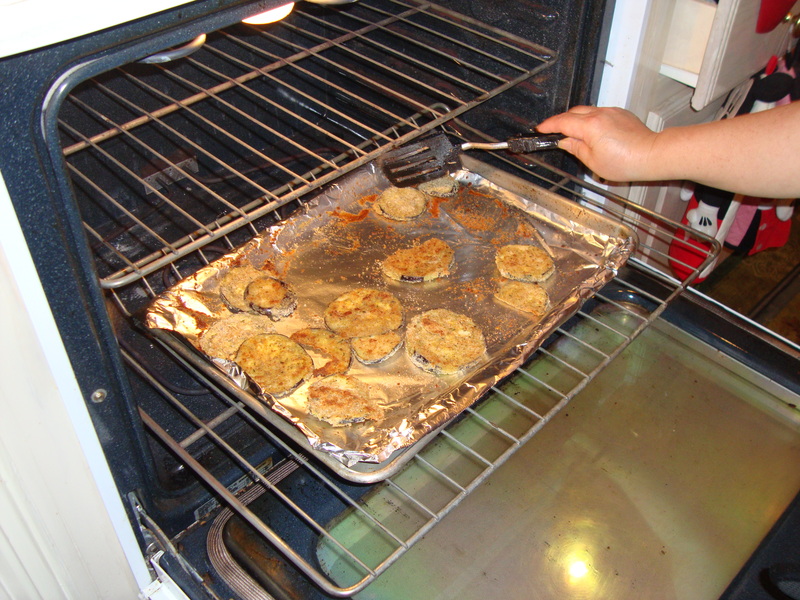 Place your breaded eggplant slices on a cookie try and place it in the oven. My mom places it on the bottom rack. So, that’s it! Quick and simple, right? Like this post if you want more like this and comment if you try it out!